"On a previous visit to Bruges I'd found a particular canal-side location that proved to be very photogenic. Here, a large stained-glass window is reflected in the waters of a canal. 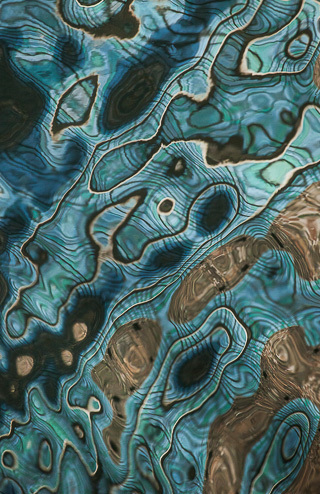 With the right amount of movement in the water, some very attractive abstract patterns are produced by the reflection of the large blue-green window and the surrounding brickwork. Quite a bit of experimentation is required to capture a pleasing result without any unnecessary distractions."